Sought Alpha. Got Alpha. Now what? What do you do with an investment idea after you are done your research? Here is a new way to build and trade thematic investment portfolios. I have found it to be both profitable and easy; you might too. Investment ideas don't always come packaged with a means to implement them. Sometimes I find myself struggling with a thematic idea without a practical way to put it to work. Other times, I am not fully convinced by an idea, but I find a good way to implement it for anyone who is already convinced. Recently, I discovered a way to connect investment themes with a new way to implement them on a site called Motif Investing (signup required). Motif Investing is an innovative online brokerage that makes investing in themes easy by allowing investors to select from over 150 professionally built portfolios or build their own 30-stock portfolio from scratch. 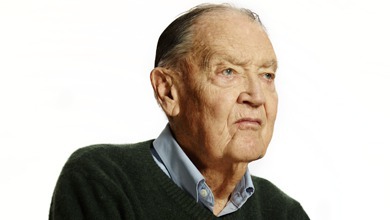 Traditionally, the investing industry was well served by low-cost, tax-efficient passive products based on the philosophy of Vanguard's Jack Bogle. His ideas about investing led to passive products such as Vanguard's Total Stock Market ETF (NYSEARCA:VTI). You won't beat the market, but you will beat the substantial majority of investors who try, especially on a long-term, after-tax basis (which is what matters). 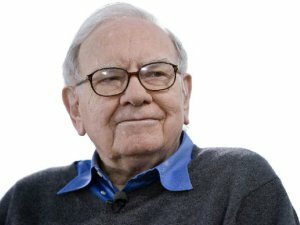 You could also invest with an active manager such as Warren Buffett at Berkshire Hathaway (BRK.A/BRK.B). His ideas about value investing have worked out well so far for everyone who has stayed invested with him over the long term. But, there has been a missing piece to this industry. What if you want more control and discretion than with VTI, but without the need to pick the next Warren Buffett? 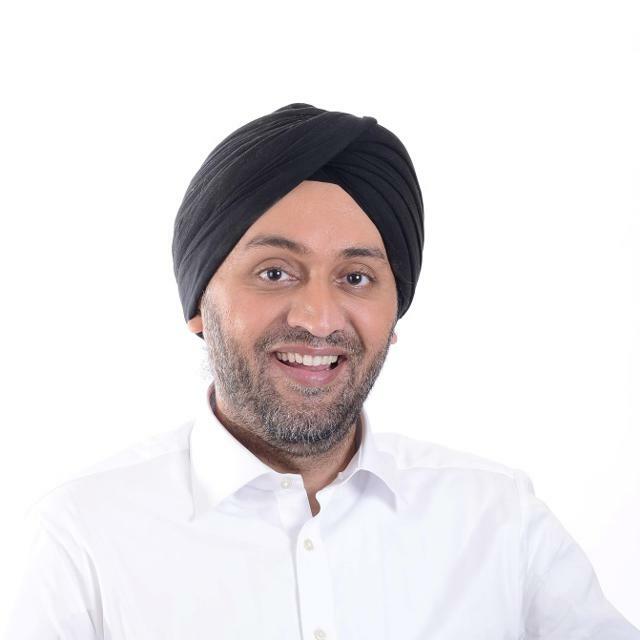 Stepping into that void is former Microsoft (NASDAQ:MSFT) executive Hardeep Walia. He co-founded Motif Investing, an investing site that allows individuals and advisors to invest in collections of stocks and ETFs centered around specific themes or investment strategies. This site is an interesting solution for many investors. Hardeep, thanks for taking the time to answer a few questions about Motif Investing. My experience with your site has been fun, educational, and lucrative. I read that a group of sixth graders from Fargo, North Dakota won Motif's investing tournament. Were the 11-year-olds that good, or were the older contestants that bad? What does that say about investing skill? Yes the 11-year-olds beat some very smart college students. I think there were some good learnings from the kids. They kept their investing simple, focusing on things they understood. Didn't churn stocks - keeping their costs low, and of course, had a little bit of luck go their way too. Investing skills can be taught young, and this next generation in particular, has a huge appetite to learn. Their participation in our competition was driven by their teacher's desire to teach math in a more intuitive and fun way. My only regret is none of the kids lost money. And so they didn't have to deal with the tough emotions from losing money. That is the kind of learning you want ingrained when you are young, when the stakes are low. I won't overly intellectualize why I use the site; I go on because it is fun. So far, how many of your users are hobbyists and how many are using this as a serious way to allocate a substantial amount of their capital? We have a broad range of customers. We have multi-million dollar estates - many of them self-directed - on our platform. And we have young savers that are using Horizon (asset allocation model) motifs simply because they are free of commissions and management fees. We now have over 160,000 happy "Motifers". It's fair to say, everyone starts on our platform as a "hobbyist". Then, they graduate to "serious" money once they realize how transparent and low-cost our model of investing is. It is different for our Advisor Platform, which is all about working with financial advisors to manage "serious" money. We even have a Motif Wealth Management Framework for them that incorporates core asset allocation models and thematic tilts to help advisors develop effective and differentiated strategies. You charge $10.00 to trade in and out of entire portfolios of up to thirty stocks, which you call "Motifs" on your site. That is cheap. But what is the optimal account size for this fee structure? One can open up extremely small accounts, but it does not seem to me to work as well unless one is a bit larger. What size makes the most sense, and what do you target as your ideal size and type of account? We can handle any account size, and even have products that trade commission-free, such as our Horizon motifs for the very small accounts. It depends on whether you are targeting a more passive motif or an active motif. Obviously, our Buy-the-Dip motif that is very active and rebalances weekly requires a more sizeable account to justify the fees. But we also have motifs that are more "set it and forget it", that can work at smaller account levels. Either way, because we don't have ongoing management fees that eat away at your returns over time, we have an advantage over traditional funds. We are also super transparent about fees. The worst kinds of fees are the hidden ones that investors don't even know about. I would like to see us be even more competitive on our rebalancing options for very small accounts, and we are actually working on this right now. The one you mentioned is one of my favorites on your site. 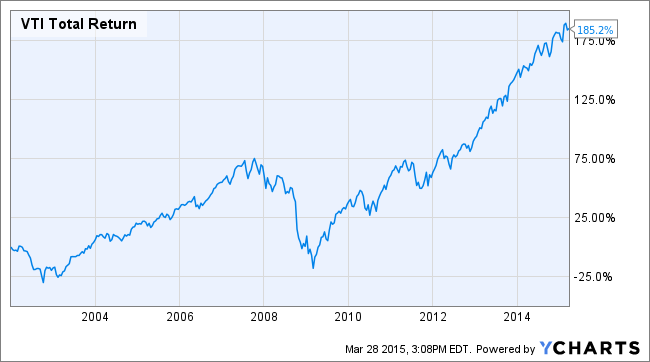 It is up over 86% in a period that the S&P 500 (NYSEARCA:SPY) is up 42%. While there is substantial turnover, it currently has Lam Research Corp. (NASDAQ:LRCX), Swift Transportation Company (SWFT), Kansas City Southern (NYSE:KSU), and Isis Pharmaceuticals (ISIS) as some of its largest positions. Over time, it has effectively captured profits through mean reversion. In practice, how do Motif Investing customers pick among the professionally built portfolios? They appear to like strong recent performance. Is performance-chasing a problem in terms of investors' results? We target self-directed investors and make it easy for them to sort motifs by a range of functions, including performance, volatility, valuation and popularity. Obviously, as with any financial product, the top performers get the most attention. We are working on ways to help our customers find motifs, and more importantly, assess and manage risk and valuation. Personally, I am a believer in mean reversion, and I don't want to encourage performance-chasing. Would you please tell me about community-created Motifs, who builds them, who invests in them, and how they have performed relative to the professionally built ones? Our customers building motifs come from every walk of life. We have professional money managers building. We have regular folks building motifs based on what they know. Everyone knows something about something. So my father, who is a retired vascular surgeon, may not know anything about Modern Portfolio Theory, but he is an expert on minimally invasive surgery and can build such a motif, because he uses and understands the products. Our hope with our community motifs is to encourage investors to share what they know and help others discover insights that they may not have thought of. We even compensate you for sharing an idea through our Creator Royalty Program. It is kind of like having your own expert network. Have you analyzed data on purchases and withdrawals? If so, how has investors' timing been? We have just hired a data scientist and are studying this data as we speak. Happy to discuss further when we are ready to share findings. A Motif could focus on any type of theme, but the themes that get the most coverage on the site seem to be far from value investing. For example, "Tablets are taking over the world! How do I invest in companies that make tablets?" Is that the right question for an investor to be asking? Could someone invest on Motif who, instead, is looking for a margin of safety and wants to pay a substantial discount to intrinsic value? Such questions seem to appear less on the site. If you include our community-created motifs, we have over 160,000 motifs built - there is a motif for almost everything. Our motifs cover themes, cover trading strategies and cover multi-asset models. For all our motifs, we highlight valuation and volatility ratings - so you can get a good sense of valuation for any motif and decide how to invest that way. We are working to offer more metrics and analytics for all of our motifs. We have several motifs that specifically cover value plays. For example, our Cash Flow Kings motif is comprised of companies with low Enterprise Value to Free Cash Flow. We also have a Stable Earnings motif and our GARP motif that are different plays on valuation. There is a Low Beta motif for investors that want to manage risk and volatility. And we have a host of dividend plays, including the Growing Dividends motif. 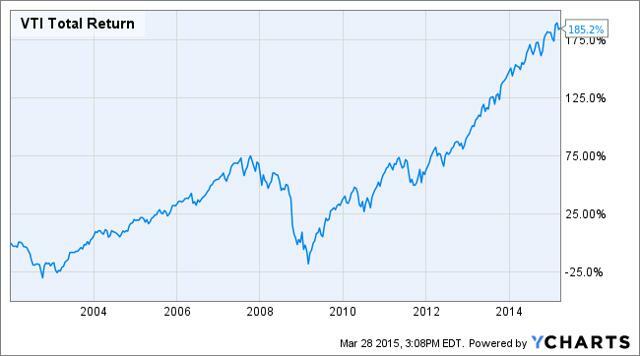 Cash Flow Kings is up over 21% in a period when the S&P 500 was up 15. I have a significant portfolio overlap with this one in Staples (NASDAQ:SPLS), which I recently wrote about here. Stable Earnings is up 19% since its launch, compared to the SPY's 15%. We both own Lorillard (NYSE:LO). The SPY has kept ahead of GARP, returning +15% versus +12% over the same period. However, GARP is coming back, up 5% this year versus 3% for SPY. GARP's investment in VSI could benefit from M&A this year. The Low Beta motif is ahead of SPY 19% versus 15% since it launched. 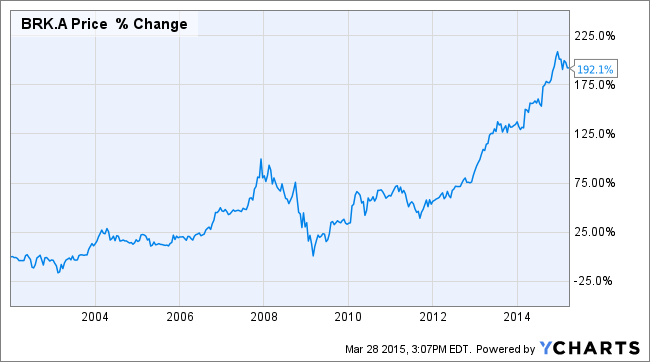 I particularly like its investment in AT&T (NYSE:T). Growing Dividends has squeaked ahead of the SPY, up about 17% versus 15% in the same period (but the comparative advantage is somewhat greater on a total return basis). Motif itself seems to be part of a theme. The theme is de-credentialing a field that once had many barriers to entry. Have any members of your community been able to use Motif to demonstrate a durable advantage in their investing skill? If so, could one move from the community to join the professional creators of Motifs? We are actively looking at our community's performance, and are already in the process of moving "professionally built" motifs to our professional catalog. We have a lot of anecdotes of everyday investors building great motifs that perform. There are a lot of regulatory constraints on how we do business, and we are sensitive to promoting their motifs. We haven't considered moving non-professionals to the pro catalog. Although, I like your idea. We will make it easier to discover these motifs within the community catalog. Your background is in chemical engineering and economics, but you also appear to be a tireless marketer for your start-up. I have seen you on Bloomberg, CNBC, and Fox Business, and have seen your writing in Forbes. So my two questions are: 1) Could you please share something about how you manage your time and get so much done; and 2) How do founders first get in front of media the way you have successfully done? On your first question, I have a terrific team. How many times have you heard that it is all about the team - it is true! My EA Tanya is world-class, and I don't think I could keep my insane schedule without her organization skills. It is also about ruthless prioritization and sacrifice. I do miss a lot of personal commitments, because I do prioritize work over personal. I am lucky to have a forgiving wife and family that supports me. On your second question, I think you need a little bit of luck, and we have had more than our fair share at Motif. And you have to tell a story that matters to a broad audience - not just your customers. So you are Indian by origin, lived in England and Kuwait, and are now proudly American. You were educated at Yale and Wharton. You got Goldman, JPMorgan and others to invest $126 million in your start-up, and with those resources, you are taking on the world. You even have a golden retriever. So you are the American success story. How do you and I and our country's leaders make America maximally welcoming to more people around the world who are willing and able to follow in your footsteps? And a related question, how can we improve the business environment so that CEOs in your position are maximally competitive? Is there anything that you would do so businesses would never want to leave and foreign businesses would want to sneak into the U.S. to take advantage of our country as a haven for free enterprise? That is a very deep question Chris. We have lots of advantages versus the rest of the world on capital. Silicon Valley is one of the few places on the planet (I don't know of any other) where you can give someone a twenty-page PowerPoint, have no relevant industry experience, and get $26 million in funding to follow a dream. My father in India still has a hard time understanding how this can happen at all. We need to maintain our edge on talent. I think a number of notable leaders have called for PhDs in STEM majors to be granted automatic Green Cards. Our country has some of the best talent in the world, and we need to make it easy for them to stay, not just get educated and leave to start businesses elsewhere. That should be easy to implement. What is harder - and where we have lots of work to do - is to educate our children to fill in the future demands of talent. We need to incent children to follow the right majors, and make financing of these majors super-easy. I am not a believer in letting a child blindly figure out what to major in. I am very passionate about education financing, in particular, but we can talk about that next time - I wrote a piece on the topic for Forbes, in case you are interested. I worry about a global market where other countries start to catch up on the talent advantage - it is happening. We have to maintain our edge in education, and continue to instill a culture of entrepreneurship. Thank you very much for taking the time to answer my questions. You have been inspiring to me, and I can't wait to see how you continue to change this industry. Thank you, Chris. I enjoyed our discussion. If anyone is interested in checking out Motif, I would highly recommend it. I have had fun and made some money using the site. As an added bonus, if you open an account with at least a $1,000 deposit here and begin trading, we each get $100. You can build a Motif to invest in, invest in someone else's, or even just invest in one I built called Make a Riskless 10% Return on a $1,000 Balance, which allows you to secure the 10% bonus while putting your assets in 1-3 month T-Bills. Disclosure: The author is long BRK.A, BRK.B, LO, T, SPLS. The author wrote this article themselves, and it expresses their own opinions. The author is not receiving compensation for it (other than from Seeking Alpha). The author has no business relationship with any company whose stock is mentioned in this article.